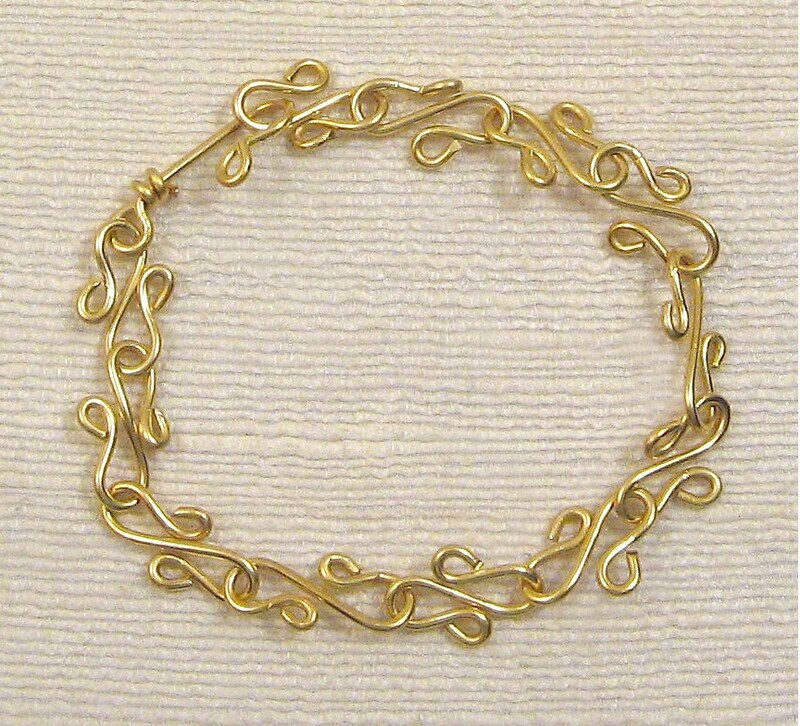 I have been working with wire for some time now, learning about bending and twisting, making curves and knots. It's a wonderful medium to explore, and I'm very grateful to my instructor, Penny Cox, for sharing her wealth of knowledge. 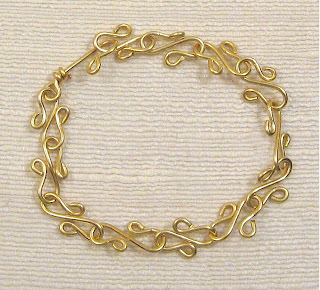 My most recent creation is this simple bracelet, made up of double "s" shapes. To me it looks like ocean waves. What do you think?